At Home Date Night Ideas for Valentine’s Day! Oooh! I love celebrating Valentine’s day at home with my husband! Because we always have some epic at home date night ideas up our sleeves! We’ve been trying oodles of at-home date night ideas for about 12 years. Hiring a baby-sitter every single week just wasn’t feasible for our budget. Grandma’s both worked outside the home and didn’t have a ton of extra time for baby-sitting. Then, we moved overseas, and finding a baby-sitter was even more tough! For the sake of our marriage and sanity, date night still had to happen! So we began creating at home date night ideas…long before we had Pinterest to find date night ideas! Check out our favorite date night ideas below and be sure to let me know which ones you absolutely LOVE! Get stringy! Need to add some giggles to your marriage? Try a silly string fight! Christmas cookie date. Who said sugar cookies are only for Christmas? Bah humbug! Spice up your Valentine’s day date night by pulling out all the cookie cutter, sprinkles, frosting and edible pearls! See what fun creation you can create for each other! Soak it all in with a spa date! Grab some foot scrub, lotion, face masks and candles to relax, unwind and indulge! Don’t forget to light the tealight candles! Have a pjs and movie night. Purchase some new, matching pjs and relax watching your favorite movie. Of course add some popcorn and drink from fancy schmancy glasses! Grab an umbrella! Do something really crazy — take a romantic stroll in the rain. Really. It can be fun! Get photogenic! Dig out an old, large picture frame and take some silly pictures. Keep them as a keepsake to help you giggle! Light up your bedroom! Hang Christmas lights in your bedroom to add a romantic ambiance to the room. Turn on some classical romantic music and enjoy a quiet evening together. Create a video keepsake! Every time my husband and I chat about “how we met” we both get a little bit mushy. Make a video together and the sparks of romantic memories will fly! It’s just a precious keepsake to give your kids one day too! It’s something your entire family can cherish for years to come! Go on a Dollar Store Spending Spree. Give each other $10 to spend at the Dollar Store and each person picks out surprises for your date night. And here’s the kicker — you HAVE to use all the items you purchased THAT night! Think snacks, toys, cards, bubble bath, massage lotion — be creative! Play twister! It’s a super-fun game that can turn romantic super quick! Break out a fondue pot. Don’t have one? Grab one here! Melt some chocolate discs in the fondue pot and dip anything and everything you love to snack on in the chocolate. Try strawberries, blueberries, pretzels and the list goes on! Write it out! Grab some heart-shaped post-it notes, brainstorm and write a book about your spouse in 20 minutes. Use the sticky notes to brainstorm and then use the additional sticky notes to write a short biography. Include short and sweet chapters to describe your spouse’s life! You can later type and print these out for keepsakes! Sentimental, huh? It’s free and it’s sent straight to your inbox! Awesome,passionate marriages that are ALIVE and THRIVING take work, sacrifice and commitment. 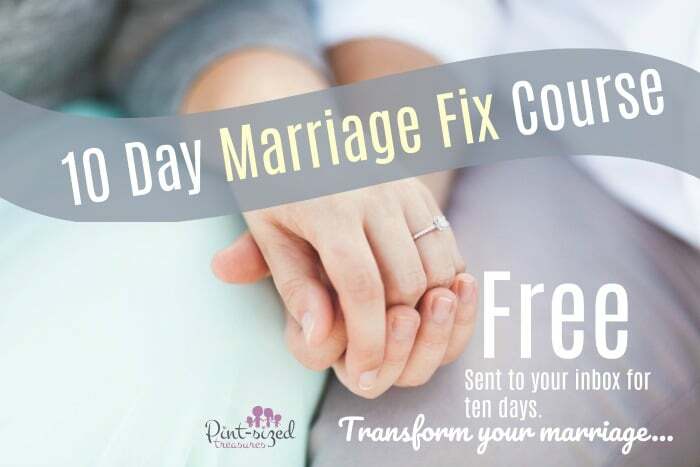 Let us help your marriage bloom in just ten days! 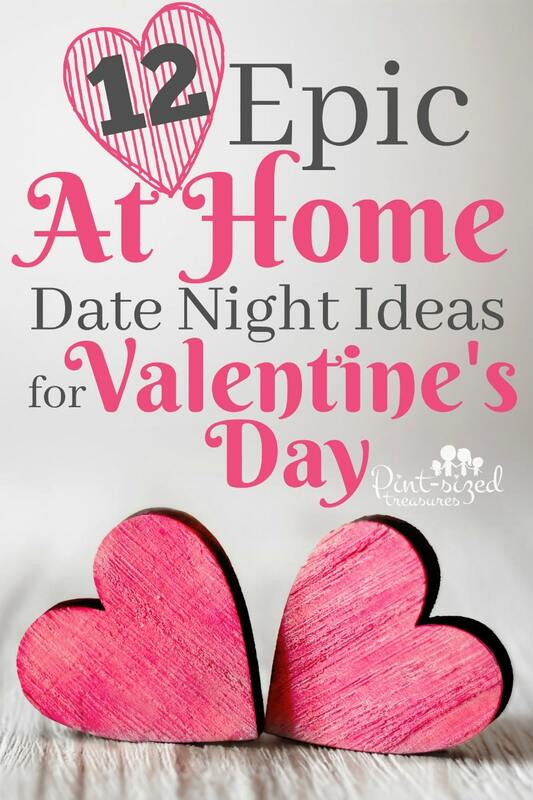 Which epic at home date night idea sounds perfect for your Valentine’s Day? I bet your in super planning mode now!